Somerset is best known for the quality of its cider than golf courses but Oake Manor is definitely among the pick of the crop as far as the latter is concerned. 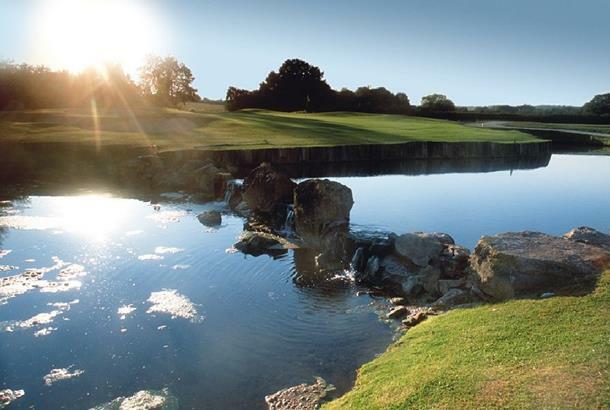 A short drive from the M5, this outstanding US-style layout sits between the Quantock and Blackdown hills and offers a serious golfing challenge. Although the fairways are fairly generous, there’s plenty of water and bunkers to negotiate – aqua in fact features on 10 of the holes! You’re quite likely to spot a kingfisher, heron or swan. Lined with trees and shrubs, Oake Manor is not long but offers a really good variety of holes – some are open, where you can ‘go for it’, while others require a more conservative play. 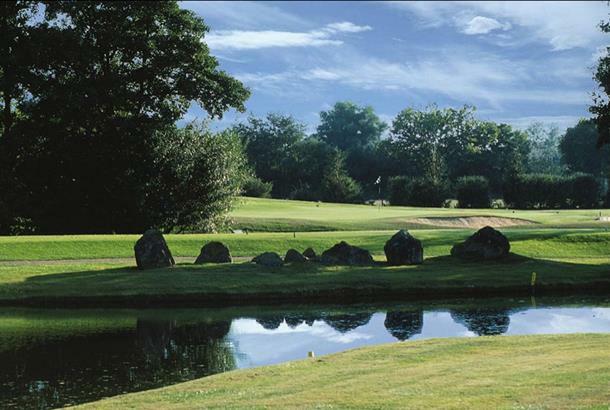 Holes to look out for include the 10th, a long par 3 dropping down to a tiny green with a pond on the right and timber on the left, and the stroke-index-1 5th, a 412-yard belter with water down the left. 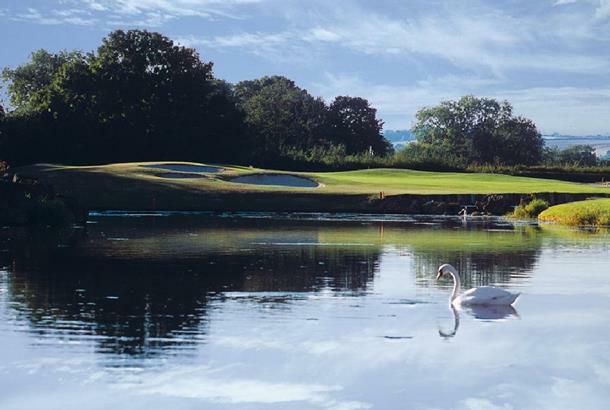 Oake Manor Golf Club is located in some of Somerset's most beautiful countryside, offering spectacular views and a suberb golf course. The well-established 6149-yard par 70 parkland/lakeland golf course offers a challenging and memorable round for all standards of golfer. A series of lakes and a trout stream run through the golf course, creating water hazards on 10 of the 18 holes. The clubhouse has gained an exceptional reputation for a warm welcome and excellent value meals. Stay & Play: Rumwell Manor Hotel is about a 5mins drive away. This was the 1ST time I played this course & was really looking forward to it, The club Advertised 2fore1 is charged at the round rate which was £34 which I thought was quite a reasonable price,But when I produced my voucher they not only charged me the day rate but they charged me over the day rate on there own web page above it states £46 but they charged me £48, what made it worse was I wrote to Todays Golfer to get clarification on the subject but they never got back to me?? which left me & my playing partner rather let down. On the plus side the course was in great condition & the members were very very friendly. Great food, great staff and stunning course. Plenty of water to test your course management skills! We played in June, the sun was shining and the course was in excellent condition. Would highly recommend this course although very low handicappers may find it easy as it's not a long course. I play off 13 and played 2 shots under my handicap, but this didn't spoil my enjoyment of the course....the greens were true and fast, which meant that you couldn't get too cocky! I run a society and have for 7 years, bearing in mind the difficult times of a recession, I arranged to play, unfornately the attitude in the clubhouse ruined my day, the conflict between restaurant and clubhouse does let the whole place down, the course overall is improving with age but it has a long way to go to be championship. It's been nearly 3 years since I played here last. We had an enjoyable day on the 29th February. The course is short though and 'easy'. Shot 3 under handicap even though I lost a ball......I remember being 4 under the last time I played here. Found the greens true but awfully slow. Apparently the greens are slow in the summer as well. Food in the club house good. I have played the course a number of times, the last being in the middle of a very wet weekend. The greens were still in excellent condition and the course, as always, looks spectacular. Although a touch on the short side by today's standard this is a very good course with plenty of water and the whole course always seems to be in immaculate condition. Well worth a visit at anytime.